Spring training starts in less than two months (wow that was fast) and here is a great deal for tickets to see the Amazin Mets. Their are many tickret options, games and packages available. Against the San Diego Padres on Thursday, April 4, at 1:10 p.m.
Against the Miami Marlins on Saturday, April 6, or Sunday, April 7, at 1:10 p.m.
One ticket to each of four regular-season games. Click here to see the possible game combinations. New to Groupon? Groupon is a free site that offers great deals that are available nationally as well as local deals tailored to the city of your choice. Sign up here for FREE, then come back and click on the link below to purchase your tickets. 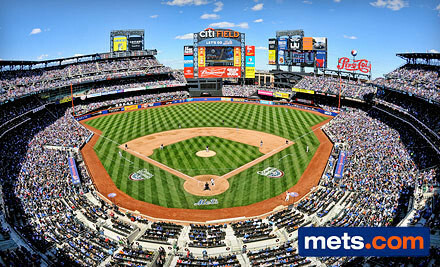 Want to keep up with all news Mets, then check out Tanya at Citifield of Dreams. You get all the latest news, analysis ad discussions on everything that is going on with of course, her favorite team. She also hosts a weekly online radio show to discuss all the latest. For $55, you get one ticket in rows M–Z of section 200, 201, or 202 (up to a $93.60 value, including all fees). CLICK HERE and order your tickets today before this deal is gone! Hurry and get your tickets today as this deal only lasted a couple of hours last time it was around. This is a great deal for a great Chtistmas tradition that every family should enjoy at least once. 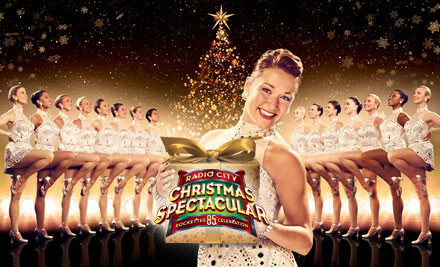 Celebrate a Big Apple Christmas wherever you are with this GrouponLive deal for the Radio City Christmas Spectacular, starring the Rockettes, at Radio City Music Hall. Showtimes are available from Wednesday, December 5, through Sunday, December 30. Doors open 30 minutes before showtime. To purchase your ticket, you will be linked out to a Ticketmaster page, where you can select a showtime and a date from a list. 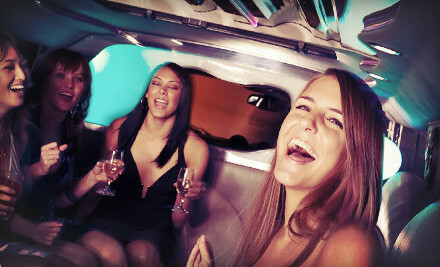 You can purchase your tickets at Groupon’s discounted rate, which ranges between $30 and $90; the value of each Groupon ranges between $59.85 and $147.55 (including all taxes and fees), and depends on your choice of seating level and whether the showtime is peak or nonpeak. New Zealand’s breathtaking mountains, meadows, and beech forests made it the perfect location to film The Hobbit trilogy. From the gently rolling countryside of the Shire to the desolate and craggy fortress of Isengard, the country’s terrain made a mythical world come alive. On this 14-day, 11-night vacation in New Zealand, you’ll visit some of the most famous filming locations from those movies as well as four cities: Auckland, Rotorua, Wellington, and Queenstown. The deal also includes roundtrip airfare from 21 departure cities and hotel accommodations in each city center. 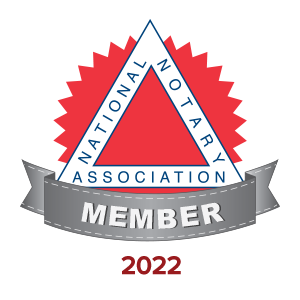 Click here for a full itinerary. Beautiful beaches, volcanic hills, and harbors filled with brightly colored sailboats surround Auckland, a bustling city in northern New Zealand. Since several harbors and bays border the downtown area, boating is a popular pastime—Auckland is often called the “city of sails” for having more boats per capita than anywhere else in the world. The city is also home to the world’s largest Polynesian population. Learn more about Polynesian history and culture at the Auckland Museum, home to an extensive collection of Maori and Pacific Islander artifacts. While in Auckland, you’ll take a half-day city tour, which includes a visit to Parnell, a historic neighborhood lined with boutiques and antique shops, and a scenic drive along Waitemata Harbor. The tour concludes at Michael Joseph Savage Memorial Park, which has panoramic views of downtown Auckland and Waitemata Harbor. You’ll also have two full days to explore Auckland on your own. Geothermal activity abounds in the city of Rotorua, including geysers, boiling mud pools, and cartoon animals with steam coming out of their ears. Te Puia, a geothermal valley a few minutes outside of the city, encompasses many of these wonders. The valley’s Pohutu Geyser erupts 10 to 25 times a day. Te Puia is also the site of the New Zealand Maori Arts and Crafts Institute, where you can see cultural performances and artwork and visit a kiwi conservation facility that takes in injured birds. On your first evening in Rotorua, visit a re-created Maori village to watch traditional music and dance performances, then dine on typical Maori foods. The following day is taken up by a half-day tour of the Waikato region, or the Shire, where several scenes from The Hobbit were filmed. Located on the southern tip of the North Island, Wellington is both New Zealand’s capital and its cultural center. It’s home to the national Museum of New Zealand, where you can see a 1,000-pound colossal squid on display and learn more about the country’s settlers. 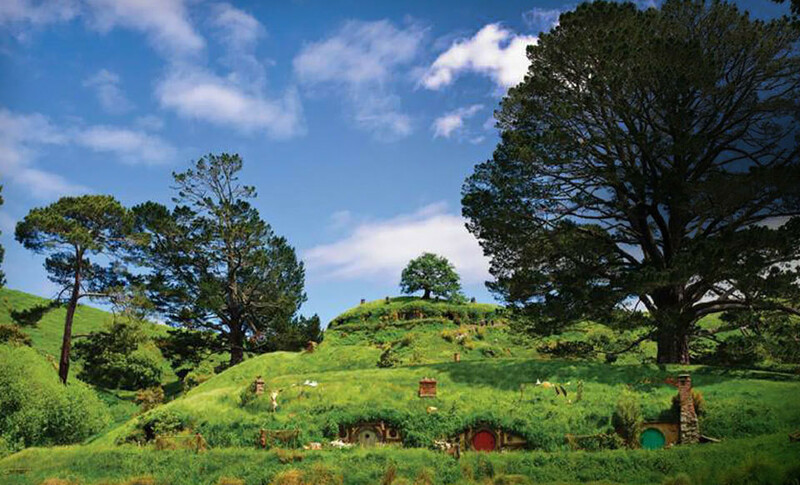 In Wellington, you’ll take a half-day Rover tour that visits seven filming locations, including the settings for Minas Tirith, Helm’s Deep, and Rivendell, where you’ll enjoy a cup of tea underneath the Elven trees. The specialist tour guides give you plenty of time to explore each site and ask questions about the filming process. Known as the adventure capital of the world, Queenstown plays host to a number of outdoor activities all year long, including skiing and snowboarding, whitewater rafting, and hang gliding. Located on the shores of Lake Wakatipu on the South Island, the city contains dozens of wineries that offer tours and tastings of the region’s famous pinot noir. On your second afternoon in Queenstown, head about 30 miles outside of the city for a half-day tour of Glenorchy. The tour whisks you through the filming locations of Isengard, Ithilien Camp, and the battle of Amon Hen. The next two days are yours to explore Queenstown on your own before heading back home. 14-day, 11-night New Zealand The Hobbit vacation with airfare and hotel accommodations. Valid for Travel with a Friend packages (two Groupons required), or pay a single supplement fee to travel solo. Read about package structures here. You have a choice of departure dates between 4/11/13 and 6/8/13 in 21 departure cities. Click View Options to see all possible departure dates and airports. 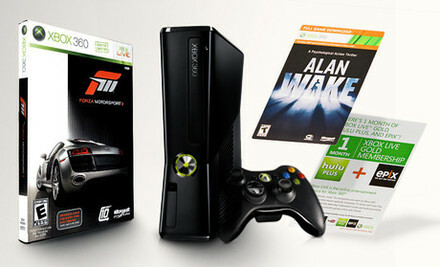 $199 for an Xbox 360 4GB Bundle with Two Games ($242.96 List Price). Free Shipping and Free Returns. The Xbox 360 4GB bundle comes with one brand-new console, one wireless controller, two best-selling games, and a one-month Gold-level membership to Xbox Live. The console’s updated design boasts a number of improvements over its white predecessor, including a quieter operating hum, built-in WiFi connectivity, and compatibility with the Kinect add-on for hands-free fun. The included Gold-level membership to Xbox Live introduces gamers to the world of online multiplayer games and turns consoles into an internet portal for posting Facebook status updates to streaming HD videos of cats doing nothing. There are so many deals going around right now with cyber week winding down, that sometimes one does not now where to look for a gift idea. 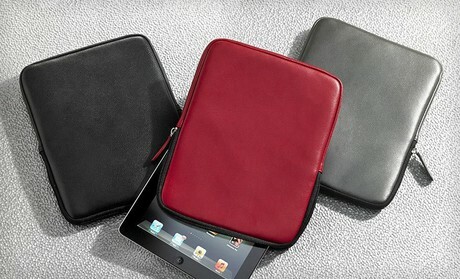 Here are a few gift ideas available right now online. $20 for the Loaded Questions Adult Board Game ($29.99 List Price). Free Shipping and Free Returns. 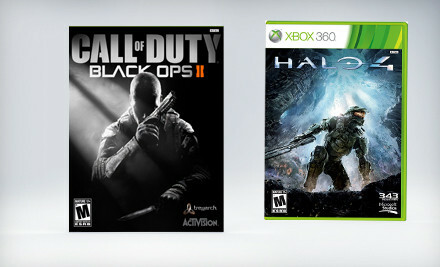 “Call of Duty: Black Ops II” and “Halo 4” Games (Up to 12% Off). Four Options Available. Free Shipping and Free Returns. 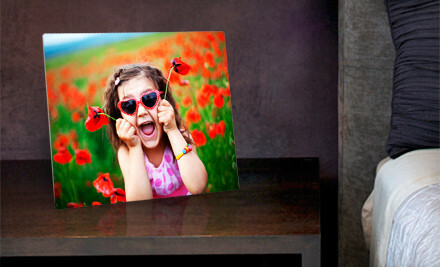 40, 75, or 110 Personalized Holiday Photo Cards from InvitationBox (Up to 84% Off). Free Shipping. 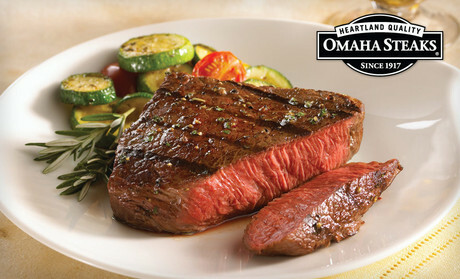 Omaha Steaks Gift Packs (Up to 60% Off). Three Options Available. Free Shipping. 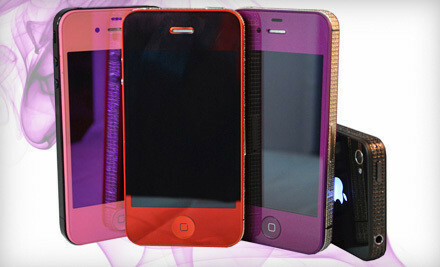 Repairs and Customizations for iPhones, iPads, and MacBooks at YAFiX (Up to 71% Off). Three Options Available. $24 for a FinoAV Large TV Tilt Mount and a 6-Foot HDMI Cable ($148 List Price). Free Shipping and Free Returns. 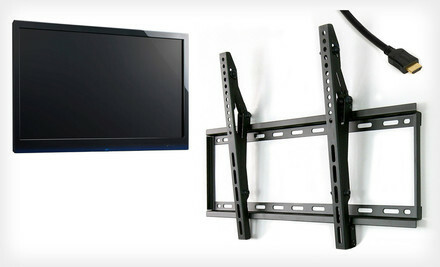 This universal mount securely anchors most 32″–55″ TVs up to 100 pounds. It adjusts so screens can lie flat against the wall, or use the TouchTilt one-touch tilt mechanism to match the angle of a jauntily worn bowler hat. The high-speed 6-foot HDMI cable connects TVs to Blu-ray players, gaming consoles, and more for a reliable transfer signal that completes new setups. 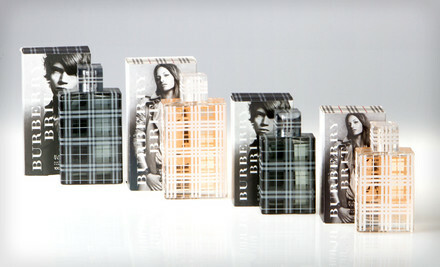 Burberry Brit 1.7- or 3.3-Ounce Eau de Toilette for Women or Men (Up to 53% Off). Free Shipping. Gentle sprays of Burberry Brit eau de toilette cast ladies or gentlemen in an aroma that mimics their spirited personalities. For the ladies, the heady blend of lush fruits, nutty essences, and amber, vanilla, and tonka bean combine into a complex yet playful scent. The men’s scent starts with spicy notes of bergamot, mandarin, wild rose, and tonka bean that blend into a lasting masculine aroma of cedar wood, cardamom, and gray rose. A geometric 1.7- or 3.3-ounce bottle adorned with a Burberry-plaid-inspired design houses the fragrance as it awaits its destiny gracing a wrist, neck, or late rent check. Find Today’s Daily Deal on the Best in New York and more! Florae play a key role in many holiday traditions, from decorating the tree and kissing under mistletoe to wrapping every present in banana leaves. Give a festive floral bouquet with this Groupon. FTD’s online boutique features several collections unique to the holidays, such as Hannukah arrangements of lilies and chrysanthemums ($39.99+) or mini holiday trees ($39.99) and wreaths ($69.99) for Christmas. Beyond the vases and bouquets, gifts range from gift baskets containing gourmet meats and cheeses ($29.99+) to boxes of Godiva truffles ($24.99) and a trio of sparkling wines ($54.99). The two $25 gift cards can be customized with images and greetings before e-mailing them to friends or family. 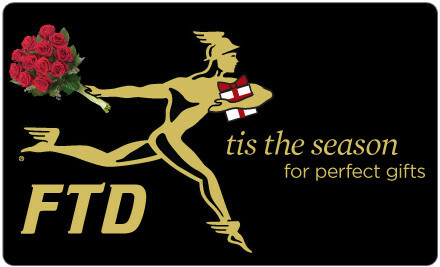 FTD offers same-day delivery in most areas for orders placed before 2 p.m. in the recipient’s time zone. Service and shipping fees apply to each order, typically ranging from $15.99 to $29.99 but varying based on the order’s contents and delivery date. Beginning in 1910 as a modest agreement between 15 retail florists to exchange out-of-town delivery orders, FTD now stands as a flower-delivery superhighway that encompasses more than 100 countries. Each independent florist under FTD’s umbrella upholds the company’s allegiance to artistry and dependability as they arrange blooms into birthday, new-baby, or just-because bouquets. The network of florists merge roses, tulips, lilies, daisies, and orchids into kaleidoscopic patterns, and fill vases with arrangements of certified organic and fair-trade flowers. Designer creations from Better Homes and Gardens and Vera Wang imbue gifts with upscale elegance, and potted plants bestow loved ones with years of invigorating scents and colors, much like a scratch ‘n’ sniff sticker on a cryogen chamber. Flowers can fly to loved ones’ doorsteps around the world, with many deliveries available the same day. Clothes are one of those things you never stop needing, like the approval of a dentist when he asks if you’ve been flossing lately. Impress people with this Groupon. American Apparel stores stock well-fitting fashion basics such as a wool club jacket ($155), a women’s cable-knit sweater ($70), a soft, thick beanie ($22), or a knee-length circle skirt ($58). The online option cannot be applied toward shipping costs. At a massive garment factory in downtown Los Angeles, more than 6,000 industrial and textile employees work in rhythm with whirring machinery to design, knit, cut, dye, and sew the stylish and well-fitting fashion basics carried in all American Apparel stores across the globe. Unlike many fashion retailers that subcontract manufacturing to overseas factories with questionable labor conditions, American Apparel adheres to a socially responsible production model by making jobs available for individuals in the LA community. In keeping production within a 30-mile radius, the T-shirt and sundress designers also eliminate unnecessary and wasteful factors such as shipping fuel and packing materials. Check out the company’s website to tour the American Apparel factory in a way that would make Mr. Rogers proud. Dig in to a plethora of custom-cut steaks, burgers, pork chops, and jumbo franks with each gift pack. All meats are individually packed and vacuum wrapped, ensuring quality for each sirloin, filet mignon, and rib eye. The proteins are then flash-frozen in carbonite to keep the succulent flavor of every scallop and crab intact, followed by packaging in a dry-ice-filled cooler to ensure the freshest possible arrival at customer’s doorsteps. Included sides and desserts such as potatoes au gratin and apple tartlets round out each meal. 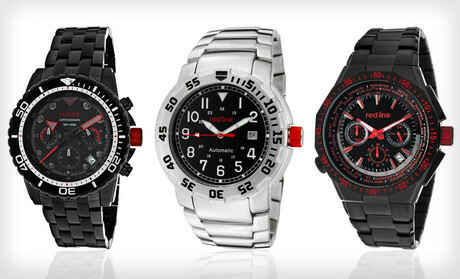 Explore areas dry or damp and keep track of the time with a Red Line watch. The rugged timepieces resist wear thanks to stainless-steel cases, and they remain water resistant at depths of up to 330 feet or one GSL (Giant Squid Length). Japanese-quartz movement helps each watch tick accurately. 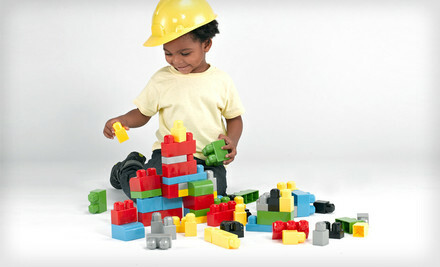 $20 for a 150-Piece Plastic-Block Set with Vinyl Tote Bag ($39.99 List Price). Free Shipping and Free Returns. Tots can hone their building and motor skills with these jumbo interlocking plastic blocks cast in bright primary colors. The included clear vinyl tote bag zips to secure all 150 pieces for easy transportation to grandma’s house or a job interview at an architectural firm. 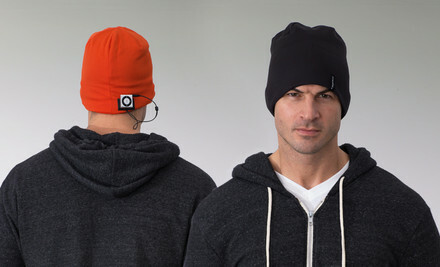 $18 for an Aerial7 Sound Disk Sports Beanie in Black, Blue, Red, or White ($45 List Price). Free Shipping and Returns. Adjustable speakers in each sports beanie may be positioned directly over the ears for an immersive listening experience or behind ears to keep exercisers aware of their surroundings when jogging in busy areas or goblin-infested mines. The beanies keep heads warm but remain thin enough to tuck under helmets, and wick moisture from heads to keep skin dry and comfortable. 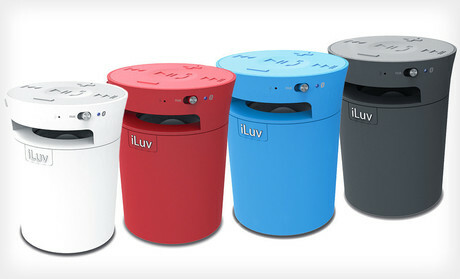 The speakers and a built-in microphone can connect to MP3 players, iPhones, BlackBerrys, and a host of other digital-media devices. $39 for Animal Planet Wooden Pet Stairs ($79.99 List Price). Free Shipping and Free Returns. 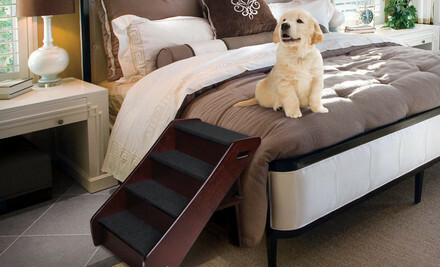 Aging or small-legged pets scamper up these wooden pet stairs to reach coveted spots on beds, couches, or monster-truck driving seats. The steps make safety a priority with nonskid carpeting and side rails to safeguard pooches from tumbling off the stairs’ edge. When pets aren’t trotting up them or sledding down them in a laundry basket, the four-tiered steps can be folded and stored using built-in handles. Preserving photographs in memorable ways helps them stand out and takes the focus off any petty crimes being committed in them. Keep the heat off with this Groupon. Prints sized 11″x17″ or smaller are shipped with an easel back, whereas larger print sizes ship with a wall float mount. Sizes include 8″x10″ ($34.95), 11″x14″ ($59.95), 16″x20″ ($99.95), and more. Aluminyze emblazons user-uploaded images in full color on high-quality, unbendable aluminum sheets, creating durable, vivid wall hangings that don’t require a frame. Aluminyze takes over and prepares the final product, correcting colors if needed and shipping it to customers with optional mounting materials such as an easel, wall float, or acrylic pedestal. Aluminyzed waterproof prints last longer than regular photos and resist scratching, water damage, and curling from the hot breath of a pet dragon. In addition to being a source of crucial information, newspapers can also be fanned across a coffee table to conceal almond-butter stains or rolled into a handy bopping device to stun tarantulas. Get a steady supply of spider boppers with this Groupon. Newspaper delivered every Sunday morning provides the latest local and international news, along with articles chronicling entertainment tidings, sports updates, and developments in the world of business. Additionally, a coupon section offers readers a range of discounts. 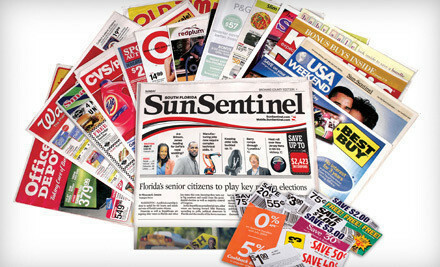 The Sun Sentinel‘s staff of experienced journalists has provided citizens of South Florida with news, money tips, and sports stats for a century. Its daily editions grant readers a chance to revel in Nostradamus’s wrongness thanks to a host of local, national, and worldly headlines that prove the world is not filling with serpents. Readers can strengthen billfolds and piggy banks with money-saving offers in the SunPack coupon package and personal-finance information in the Sun Sentinel‘s Money section before perusing the Travel pages for tips on planning exotic getaways. Bargain shoppers and people who purchased one too many unitards will delight in the classified section, which features a forum for gaining and discarding virtually anything. 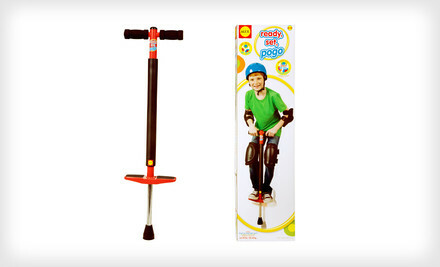 $25 for an Alex Ready, Set, Pogo Stick ($39.95 List Price). Free Shipping and Free Returns. Kids can clamber onto this specially designed pogo stick to catch some air or low-flying geese. The pogo stick’s spring is encased in metal for extra safety, and the wide rubber foothold stabilizes little feet during jaunts around the playground. Easy-grip foam handles and a padded center pole boost youngsters’ comfort as they bounce up to 24 inches off the ground.